Lupus and heart disease is prevalent in people who have lupus. Lupus is an autoimmune disorder that has an unknown trigger that causes the person’s own body to attack its tissues. This damage causes widespread inflammation and damage. There is no cure for Lupus, but treatments are available. 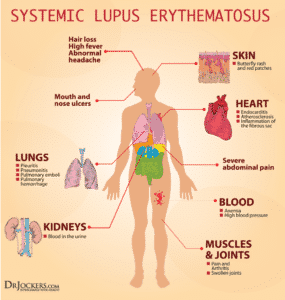 The most common type of Lupus is systemic lupus erythematosus (SLE). Lupus can be controlled with proper treatment. Lupus Heart Disease: Who Gets Lupus? Lupus Heart Disease: Can Lupus Cause Heart Problems? 1. Can a person die from Lupus? 2. What are the long-term effects of lupus? Lupus can be from mild to life-threatening. The course of the disease depends on the patients level of compliance and treatments. There are many doctors that specialize in treating Lupus. African American women are three times more likely to get Lupus than any other group. It is also more common in Latino, Asian, and American Indian women. African Americans tend to get Lupus at an earlier age. 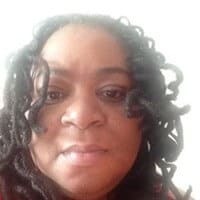 Lupus causes heart disease in African American women. According to the Centers for Disease Control, “Lupus is an autoimmune disease that triggers inflammation in different tissues of the body. Autoimmune diseases happen when the body’s immune system attacks its own tissues. The most common type of lupus is systemic lupus erythematosus (SLE), which affects different parts of the body including internal organs. We had an unfortunate 23-year-old brought to the hospital via 911 with complaints of shortness of breath and an elevated heart rate. She was diagnosed with lupus at the unfortunate age of 10 years old. This patient has been in and out of the hospital since she was a child. Systemic lupus causes heart disease. According to the Journal of Clinical Immunology, “Patients with systemic lupus erythematosus have a significantly increased risk of cardiovascular events due to atherosclerosis. Traditional cardiac risk factors cannot fully explain this increased risk. Lupus has caused this patient to have congestive heart failure, hypertension, and kidney failure. This patient is on dialysis three times a week. However, the patient has been somewhat non-compliant. Therefore, when the patient missed her dialysis she became fluid overloaded. Since the patient cannot urinate, and she is still drinking fluids, the fluid and toxins have nowhere to go. Usually asymptomatic. Gross Hematuria. Nephrotic syndrome. 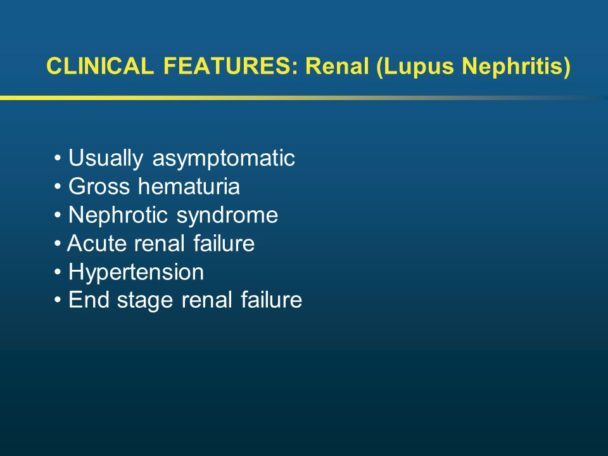 Acute renal failure. Hypertension. end-stage renal failure. 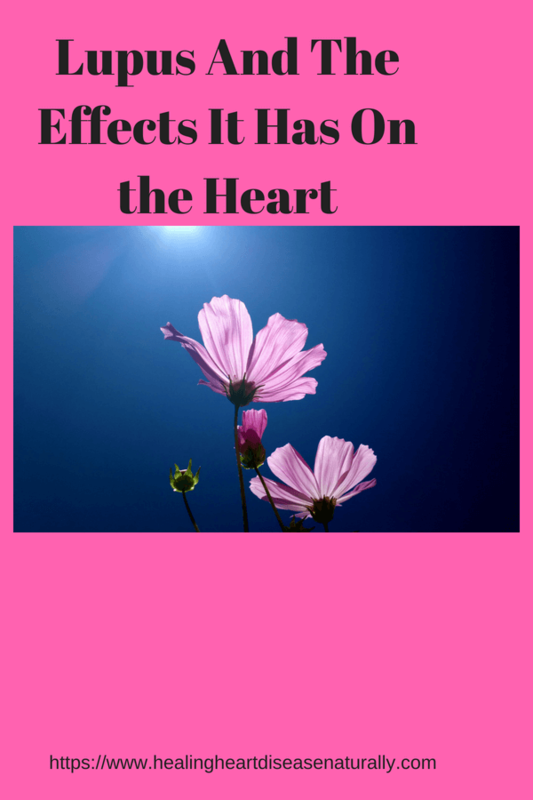 Because lupus is an autoimmune disease, often times the heart can become inflamed. This is called myocarditis. Myocarditis can weaken the heart muscle; therefore, causing heart failure. However, with medications and antibiotics, the heart muscle can usually improve in many cases. Lupus causes kidney failure because lupus causes the connective tissue inside the kidney to become inflamed. This inflammation can damage the kidneys and lead to kidney failure. While there’s no cure for lupus. Treatments focus on improving quality of life through controlling symptoms and minimizing flare-ups. This begins with lifestyle modifications, including sun protection and diet. Further disease management includes medications, such as anti-inflammatories and steroids. Lupus can be local or systemic. Lupus can range from mild to life-threatening depending on where the inflammation occurs. The key to controlling lupus symptoms are too get good medical treatment, and to be compliant with that treatment. There are 16,000 new cases diagnosed per year. It is estimated that 10-15% of people diagnosed with lupus will die prematurely. Lupus can affect almost every system of the body. The main systems that are affected are the kidneys, heart, brain, and joints. The kidneys are usually affected first and the person has to go on dialysis. People with lupus have a high rate of strokes. The high risk of stroke comes from the high blood pressure and the blood thinners used in lupus treatment. Heart complications are the leading cause of death in lupus patients. The main way lupus affects the heart is through inflammation which leads to pericarditis. Lupus patients also are affected by myocarditis. Myocarditis is an inflammation of the myocardium, which is the muscle tissue of the heart.